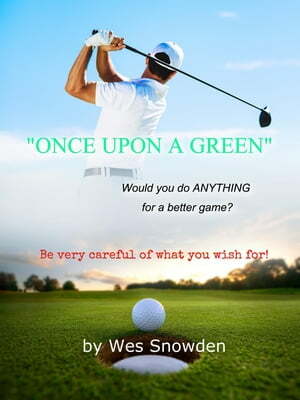 Collins Booksellers - Once Upon a Green by Wes Snowden, 9780463080719. Buy this book online. An entertaining story for golfers and none golfers alike. Follow the adventures of young Bobby Bolton as he enters a contest to win one million dollars if he can make the jump from being an everyday duffer to professional status in the space of one year. To undertake this monumental task, Bobby enlists the aid of a very strange manufacturer of specialized golf equipment through a deal that he soon lives to regret! The story combines humor, inspiration, and suspense as it follows "Boom-Boom" Bolton on his quest for a green jacket at the Masters. CAUTION: Be careful what you wish for Bobby!